Welcome to 'Genesis'. 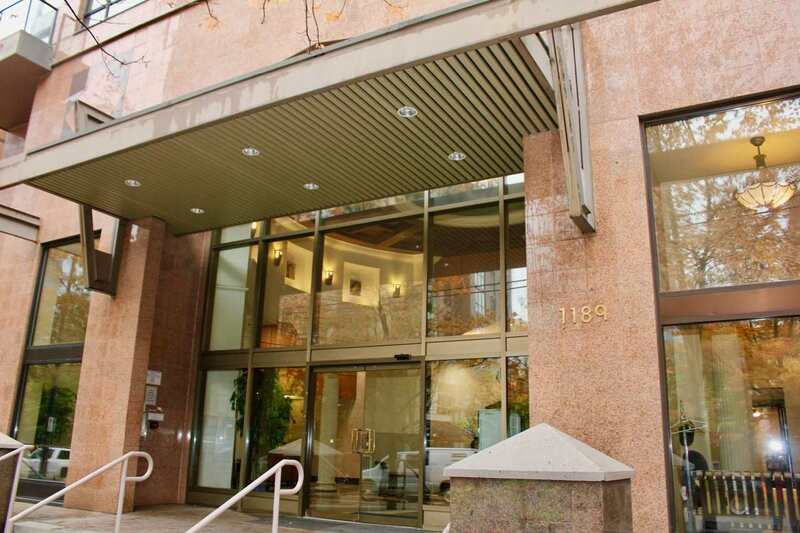 This beautiful 1 bedroom & den suite has stunning west views of water, mountains & city. Very efficient layout with open kitchen, insuite laundry & large storage room. The building features spectacular amenities including huge indoor pool, gym, hot tub, sauna, whirlpool, guest suite, media room, concierge & meeting & social rooms. There is a parking spot in the garage as well as visitors parking. Pets & rentals allowed. Convenient downtown location.